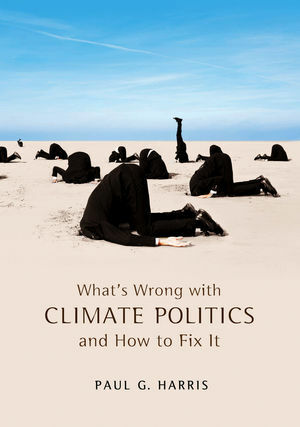 Paul G. Harris, What’s Wrong with Climate Politics and How to Fix It (Polity, 2013). Governments have failed to stem global emissions of carbon dioxide and other greenhouse gases causing climate change. Indeed, without far more aggressive action, climate-changing pollution will remain far too high for decades to come. What explains this failure to effectively tackle the world’s most serious long-term problem? And what can be done about it? To answer these questions, Paul G. Harris looks at climate politics as a doctor might look at a very sick patient. He performs urgent diagnoses and prescribes vital treatments to revive our ailing planet before it is too late. What’s Wrong with Climate Politics and How to Fix It begins by diagnosing what’s most wrong with climate politics, including the anachronistic international system, which encourages nations to fight for their narrowly perceived interests and makes major cuts in greenhouse pollution extraordinarily difficult; the United States and China, which together produce over one-third of global greenhouse gas pollution; and affluent lifestyles and overconsumption, which are spreading rapidly from industrialized nations to the developing world. The book then prescribes several antidotes to the failed politics of climate change, including a new kind of climate diplomacy with people at its center, national policies that put the common-but-differentiated responsibilities of individuals alongside those of nations, and a campaign for simultaneously enhancing human wellbeing and environmental sustainability.